The Olympics are over and awarded one cardboard medal to Chavez. He has started trying to pass the buck around, but from an editorial today in Tal Cual to the justified claims of some returning athletes who dared to speak against the ways sports are dealt with in Venezuela we know he has once again messed up big time. Should we be surprised? Did we not know that the chavista administration is improvisation everywhere, as we saw it clearly in the organization of the soccer event of last year with stadiums that are yet to be completed as I type. In all fairness the Venezuela medal industry has always been deficient. See, organizing sporting venues and offering a decade long commitment to promising athletes is just beyond the grasp of the multiple populist governments that have ruled us since the 70ies. Sports where considered as something that you throw a lot of money at one year to expect results the next. Unfortunately it does not work like that: behind successful athletes all around the world there is much more than the athletes, there is the family, the facilities, the coaches, the public support, the government help as far as possible. There is a country behind any successful athlete, as Milagros Socorro reminded us in El Nacional ten days ago. In Venezuela athletes have been most of the times left on their own, the most successful ones usually finding ways to train overseas. Morochito Rodriguez winning our lone gold medal ever, in Mexico games, is also the rare example of an athlete home grown, in boxing, where there is some money. 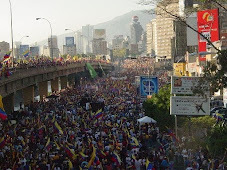 Organizing any type of sustained activity in Venezuela is quite difficult and I experienced it myself. When I moved back form the States I tried to join the local Masters swim team. I was coming from 3 to 4 times a week training where all in all I was doing up to 10 Km a week. Well, for three years I battled all, dirty pools, lack of coaching, unfair schedules, general apathy, endless meetings that lead nowhere. But the most vexing part was that the pool had always priority for all sort of "events" of dubious value except for its social and or political component. Still, I could have dealt with it had I been properly warned. But no: how often did I make it to the pool, all ready to jump, to be told that no, no more training for so many days. And this happens, I'll bet anything, to much larger scale, for Olympic athletes, with worse consequences. Does anyone remember when Acosta Carles was sworn in governor of Carabobo 4 years ago and took away the about to the inaugurated special center for sports training and health to turn it over to the "people needs"? Just like that, as if youth and athletes were not also people with needs? We would have expected that Chavez, after ten years in office, with the help of so many Cuban trainers that are sent to us as a meager payment of all the oil we give them nearly for free, would have managed, even if just for propaganda purposes, to create some sport program that would deliver half a dozen medals. No? No! And yet Chavez had high hopes. We had been submitted to incessant propaganda abotu "oro a la revolucion deportiva" (gold to the sports revolution). Sports authorities boldly predicted our largest harvest ever in Beijing. And we had to settle for a Tae Kwon Do girl, getting almost by luck the bronze medal. I say by luck, not to diminish her abilities at all, but to underline that she was not one of the favorites. As far as I know, this Olympics delegation, at least as far as officials were concerned, was tourism at tax payer expenses. We even saw the governor of Guarico accompanying the Guarico delegation, I kid you not, as if Guarico was a delegation distinct from the Venezuelan one. Was the governor of, say, Nebraska at Beijing, at tax payer expenses? Under Chavez, even if the need of propaganda is taken into account, we have had yet another huge failure, where Olympics is just an excuse for the multi layered bureaucracy to get a junket trip around the globe. Revolution? Where? Corruption and lies? Everywhere! I was curious to see if I could calculate in any way the failure of chavismo. I came up with the following table. In this table I took into account the winnings of the countries in this area of the world, that is South of the Rio Grande, including the Caribbean. The first column is the number of medals won (gold, silver and bronze together), the second the population of the country (all data next is form the CIA world book, friends and foes alike), the third column the GDP per capita, and jumping two columns, the number of athletes included int eh delegation (that is, those who had enough merits to qualify to an Olympics game). With these numbers I tried to create some "parameters" in order to evaluate how efficient a country is in training athletes and getting medals, according to its relative size in the world. The fifth column is the easy one, medals per million people. Of course the winner is Jamaica and Mexico the last one, but Venezuela next to last (the order of the countries, from most efficient to least efficient comes from the last column). The sixth column calculates the number of medals per billion GDP. That is, an attempt to see whether the GDP of a third world country (all are third world) affect the repartition of medals. surprisingly the order is not really altered though the spread is much more restrained. Clearly, the wealth of a third world country is not a definite indicator as to the potential of that country to win medals. Yet, Venezuela is dead last! Then I calculated the number of medals per athlete that was sent to see if the size of the group had any bearing on the final medal count. Clearly the spread that we observe in the column before last indicates that that the number of medals won has nothing to do with the size of the delegation. Venezuela, by the way, is dead last again, clearly establishing that the 101 athletes did not deserve all their tickets (I look at the general score and they are far from impressive in general). And then I came up with a general efficacy index. For this I added up columns 6 and 8 (medals per billion and medals per athlete) and multiplied this by the number in column 5 (medals per million people). For example for Jamaica it would be 3.92*(0,51 + 0,44) = 3,725 (note: my Venezuelan excel gives coma for point, sorry). Now, of course, I have no idea of the validity of such a measure, but as a first approximation of efficacy we do get a coefficient that will ponder the value of medals per athlete. The result is quite clear, Venezuela is dead last, with the Caribbean Basin countries, Anglo or Hispanic, the only countries worth mentioning. At least, for Chavez discharge, our neighbors south of us did barely better as we see that the 15 medals of Brazil really are not that impressive, at least according to thsi index. Does any one care to calculate the Chinese and the US sports efficacy index?